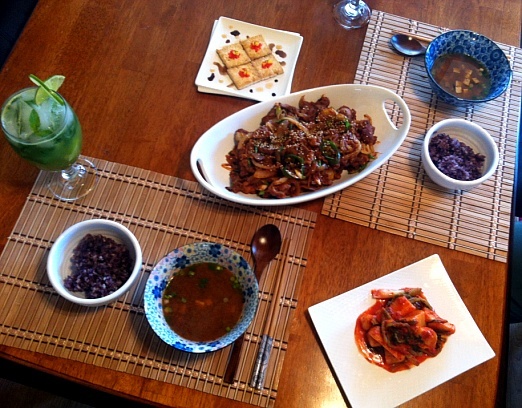 Home Kitchen Diary	Korean Spicy Pork for Lunch! So so spicy and delicious!! This picture makes me drooling!! You can skip the apple and use apple sauce or add a bit more sugar. To me, thin and fatty pork is very very important for this dish for my personal taste, lean pork just not working for me. I want my spicy pork to be greasy and extra spicy!! hehe. 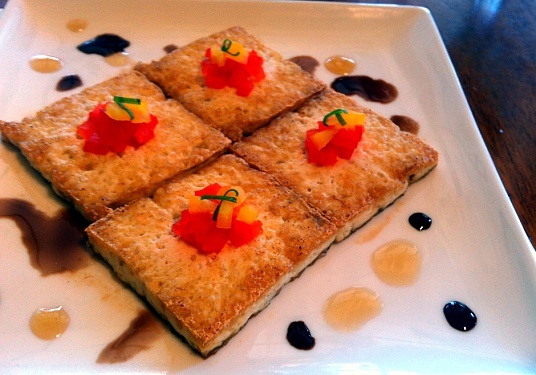 I served fried tofu with soy, balsamic vinegar and sesame oil along with the spicy pork. I lately keep trying balsamic in Asian cuisine and I really think it works so beautifully! Who knew?! I also made a drink. 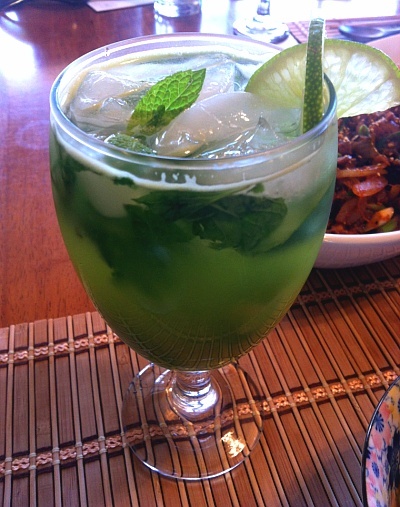 Virgin mojito! Hey, guys, calm down! It was lunch time, my hubby had to go back to work so I had to put my hand down from the rum bottle. lol I just used sparkling water, agave nectar instead of sugar. It was very refreshing and cool down our palette while we are eating greasy and extra spicy, spicy pork. 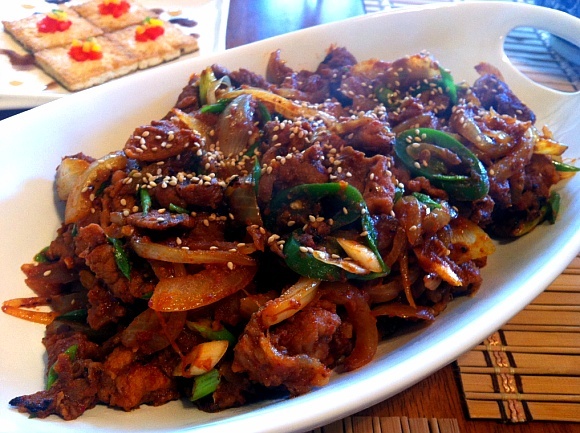 I tried Korean Spicy Pork for the first time at a restaurant and I really REALLY liked it. I am glad that I tried it and you have a written recipe now I can make my own. You should try to go there! I would love to blog about it but it won’t be any soon because if I would love to go a Korean restaurant and take pictures and explain step by step. When I have chance, I will do! (We have to go 5 hours away to go one) It works pretty simple. First you order what kind of meat you’d like to have/grill, then they start bring out side dishes and the meat you order. The side dishes are coming with the main which is the meat you order to grill. If you ask them what protein to order as a first time, they will recommend you something really good in their restaurant. 🙂 Rice, big bowl of soup(Usually soy bean soup), drinks are additional. They bring out the food, then you can start grill the meat(Of course you can ask them how to start grill and help) and while waiting for the meat you can start eating the side dishes. And go from there! Just keep cooking and eating on the table! 😀 I hope you enjoy your first Korean BBQ restaurant experience!! Good luck!